With its stunning economic performance over the past decades, China is today a huge and much-coveted market for global manufacturers in the furniture industry. Nearly 200 European furniture brands have reportedly heeded the call of China, hoping to tap demand there, along with other foreign counterparts. And as foreign brands flood into China, domestic furniture makers there are also hard at work developing overseas markets for their own branded products. Regardless of country, the furniture industry is increasingly driven by demand for eco-friendly and health-oriented products. Furniture manufacturers have answered this trend by developing green products free of formaldehyde, chemical odors and other health-harming qualities as countries close the doors to such imports with tighter regulation. Makers of wood furniture products are also feeling the pressure of growing global sensitivity to forest protection and stricter rules on forest exploitation, felling trees and logging, such as those enacted by the European Union (EU) on March 2013. Under the new EU regulations, exporters of wood products to the EU are required to get Forest Stewardship Council (FSC) certification that the timber used by manufacturers is legally produced from forest resources and that the raw materials meet eco-friendly requirements. The EU rules has worried many furniture manufacturers in China as less than 1% of the local wood and logs they use are FSC certified. In order to export to the EU, they have to import wood from FSC-approved suppliers from Russia, Malaysia, Indonesia, Solomon Islands, Papua New Guinea and other countries, increasing the cost of their products. In addition to its role as a world factory, China has in recent years become an attractive consumer market that is absorbing a growing amount of imported furniture. In the first eight months of 2013, the value of furniture imports to China increased at an annual pace of 7% to US$1.5 billion. Nevertheless, local brands are gaining popularity in China relative to imports due to their lower pricing and practical, locally tailored designs and functions. 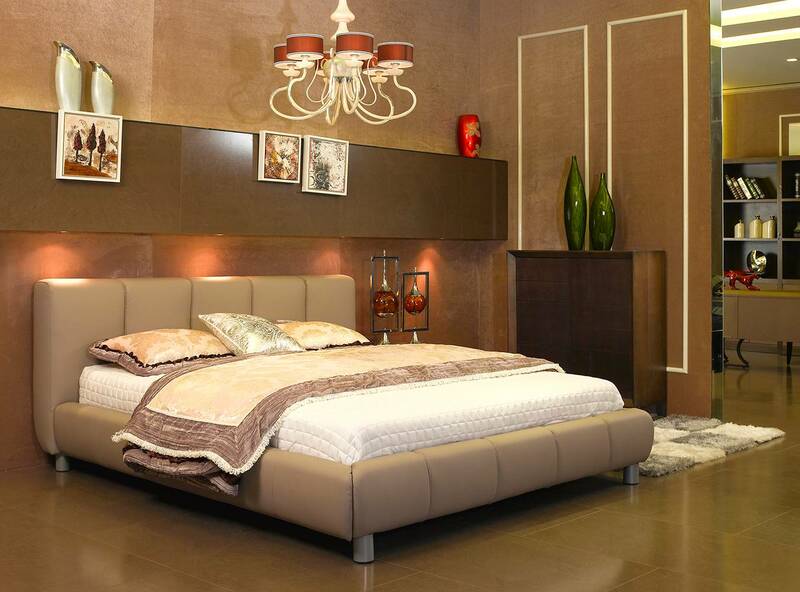 Founded in 1985, Shenzhen YuanFangYuan Industry Development Co., Ltd. is a well-known Chinese maker of beds, functional sofas, mattresses, spring wood frames and related accessories. YuanFangYuan's Voude brand luxury bedroom sets are designed for high-end clients, including star-rated hotels and villas. 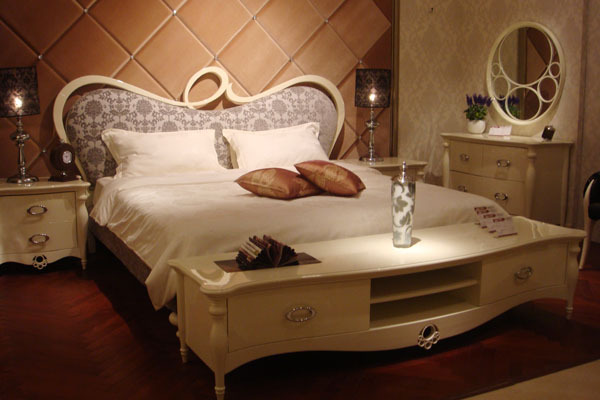 With experience of 28 years in the bedroom furniture industry, the ISO 9001-certified company handles all phases of the manufacturing process, from design to production, and marketing as well. The company continually hones its manufacturing technologies, facilities and operational efficiency to improve its product quality. Started with a workforce of less than 20 persons, YuanFangYuan today has 600 employees at its 17,900-square-meter production base in Shenzhen, Guangdong Province. The company turns out 45,000 bed sets per year for domestic sale and export to the United States, Europe and other overseas markets. In 2000, YuanFangYuan established a design company staffed by outstanding local and Italian designers. In the same year, the company opened a subsidiary in Hong Kong to introduce advanced know-how and explore international markets. 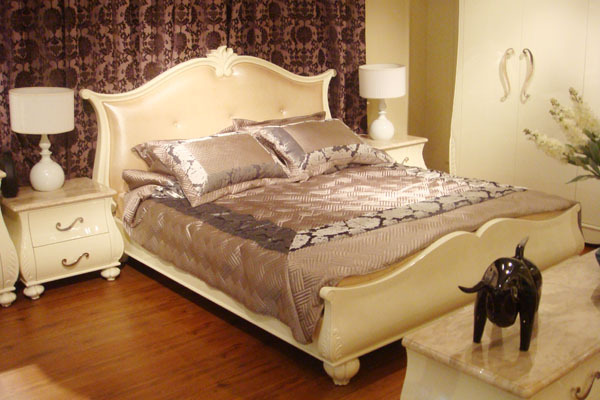 YuanFangYuan has also steadily invested in R&D to turn out healthy and sleep-enhancing products, including innovative and multifunctional high-end beds, mattresses and sleeping sofas. In its dedication to quality, the company demands that all of its parts and accessories are perfectly crafted and conform to international standards: a goal it has achieved by setting up its own hardware factory to make furniture parts. In addition to its OEM business, YuanFangYuan has developed own brand products for export and for domestic sales through nearly 500 outlets in China. 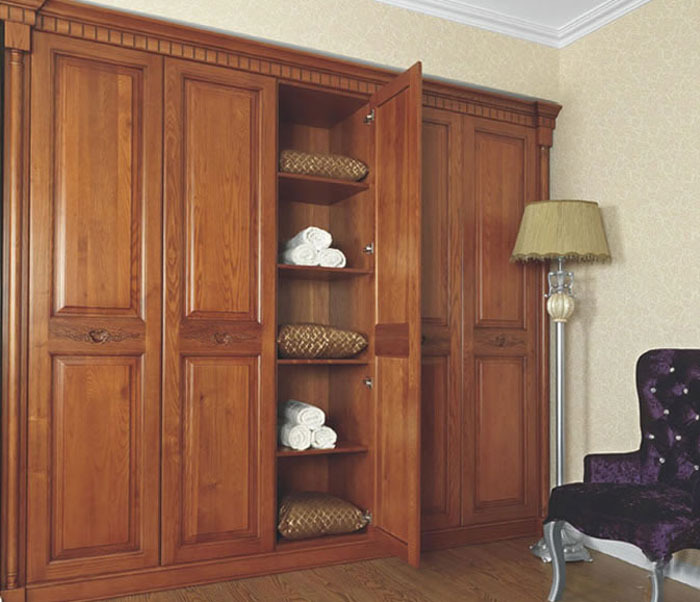 The wooden wardrobe closets developed by HuaZhang have a simple and natural look. Entering the furniture industry only three years ago, Shenzhen HuaZhang Furniture Co., Ltd. is an affiliate of Hong Kong-based SaiBon Group, producing mainly solid wood furniture. The ISO 9000-certified company focuses on high-tier consumers in Japan and the greater China region, including mainland China, Hong Kong, Macao and Taiwan, with annual revenues of around RMB 20 million, or about US$3.33 million. Like YuanFangYuan, HuaZhang takes environment protection seriously and is very careful about the materials it uses. The company emphasizes that the solid wood it uses is eco-friendly, carbonized dry, insect-proof and free from formaldehyde and other chemicals. "We combine traditional and modern technologies to make our furniture products, using ancient wood structures with mortise-tenon connections and stylish modern look," a senior company official says. 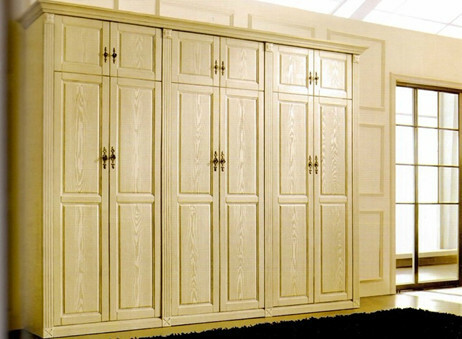 "We provide a variety of solid wood furniture products including beds, cabinets, clothes drawers, bookshelves, doors and display stands." In addition to its main OEM operations, the company accepts customer-tailored orders, mainly for local customers. "We take orders case-by-case and offer package solutions for special customers, such as hotels, restaurants, clubs and villas," the official adds. "HuaZhang is now one of the top-10 solid wood furniture manufacturers in Guangdong Province." Established in 1983, Dongguan Chang Shi Furniture Co., Ltd. is one of the leading furniture makers in China, with headquarters located in the "furniture city" of Dongguan in Guangdong Province. Chang Shi's bedroom sets have gained popularity in the global market with their combination of classical and modern design. Over the years, the ISO 9001: 2008-certified company has won numerous awards and honors in China, such as the "China Famous & Excellent Products," "Green Environmental Protection Furniture," and "Consumer Faith Products" awards. Today the company has three factories with a total of over 1,000 employees who turn out around 30,000 pieces of furniture products a month that generate annual revenues of RMB 100 million (about US$16.67 million). The products are marketed not only in China, but also shipped to more than 60 countries and regions globally, including Europe, the United States, Japan, South Korea and the Middle East. In recent years, Chang Shi has teamed up with foreign furniture design institutions in South Korea, Austria and Italy to develop innovative high-end furniture. These partnerships have produced several furniture series, including the "Amherst," "Patricia," "Northern," "Bidaer," and "C&C' lines. The Amherst series combines a European tone with Chinese cultural motifs to create an artistic, pragmatic, value-added and multifunctional line of products. The Patricia series, made mainly of leather, cloth, and wood, presents a post-modern European style with simple yet classic patterns featuring a contrast of novelty and elegance. The Northern series is made mostly of Russian birchwood with a delicate grain, toughness, clear veins, resilience, and an easy-to-paint texture. The products in this line are painted in bright colors to present an elegant and natural look. The Bidaer series of sofas and armchairs has an Italian taste and glamour, with leather as the major material. Made with advanced technologies from Germany and special techniques from Korea, Bidaer-branded products have an elegant and refined appearance that caters to the taste of upscale customers. The C&C series is also aimed at the high-end market with dining sets composed mainly of marble tables and leather chairs.